Following in the footsteps of musicians such as Memory Cassette, Neon Indian and Washed Out, comes the latest addition to the great dreamwave phenomenon shaking up the indie music world in the form of South Carolina's Toro Y Moi, and I gotta say, this is one of my faves yet! The one-man-band consists of the talented Chaz Bundick who puts a soulful upbeat twist, with at times some pretty intense electro beats, on the new genre while maintaining that dreamy sound and fuzzy vocals. Toro Y Moi is gonna be dropping two albums in 2010, the highly anticipated first titled Causers of This coming on February 23rd. Based on what I've heard so far, its gonna be a pretty amazing album. Toro y Moi is soooo good. Talamak is the best song of 09. I saw him open for Islands at the Troubadour... there were only like 10 people there when he was on... incredible. You should check out small black if you like Toro y moi. i have the stuff on my blog. Yeah, I love it, I love Small Black too. I actually already posted Small Black a little while back! !!! 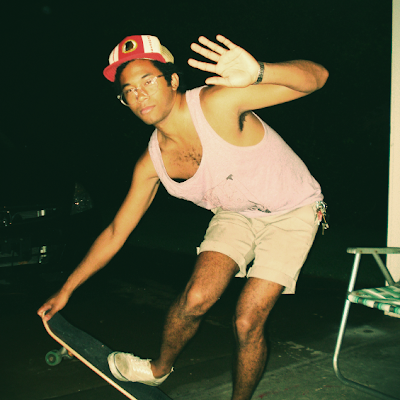 Toro y Moi also did an amazing Beach House Cover "Master of None"